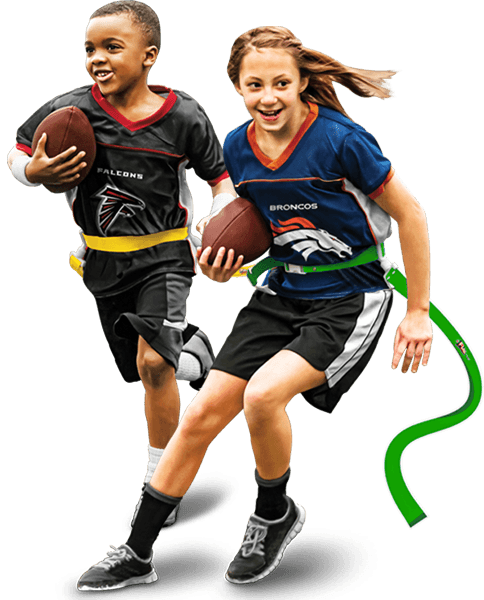 The largest flag football program in the nation offers a fun, non-contact football experience for boys and girls ages 5-17. When you create an NFL FLAG league, you are giving every boy and girl in your community a chance to play in an organized, non-contact football league wearing official gear of the NFL. Start your league today. allow kids to play for the NFL. Interested in starting your own NFL FLAG league in your community? Click the button below for more information. Catch up on the latest NFL FLAG news.